This year’s Illustration Competition received a healthy nine percent bump in entries, which included a greater number of international submissions, most notably from Italy and Spain. While we registered modest increases in the number of entries submitted to the book, for sale and institutional categories, we were amazed to see a fifty percent increase in the number of animation entries. In addition to commenting on the strong showing in animation, the jurors noted what impressed them about the content and style of this year’s entries. “Aside from the sheer number of exceptional illustrations in the competition this year, I was excited to see so many pieces with such simple execution and strong concept,” Kimbro says. The jurors also had some critical observations. “I was disappointed that a fair amount of people submitted work that lacked any cohesion in the series category,” says Labieniec. 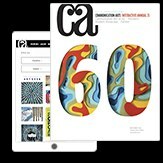 Lastly, several jurors reflected on how the field of illustration is evolving. 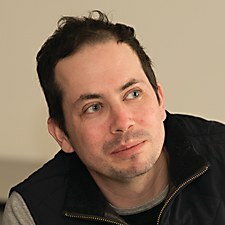 Chad W. Beckerman is an award-winning designer and creative director at Abrams, where he oversees the design of picture books, novels and graphic novels under the Abrams Appleseed, Abrams Books for Young Readers, Amulet Books and Abrams ComicArts imprints. He is the designer behind such successful children series as Diary of a Wimpy Kid, Origami Yoda, Nathan Hale’s Hazardous Tales, Frank Einstein, The Terrible Two and Bill Nye’s Jack and the Geniuses. He has also designed several bestselling pictures books, including Rosie Revere, Engineer; Trombone Shorty; and Vegetables in Underwear. A frequent judge for illustration competitions, Beckerman studied illustration at the Rhode Island School of Design. Emily Kimbro is the design director for Texas Monthly, where she oversees the design, illustration and photography of the magazine and website. 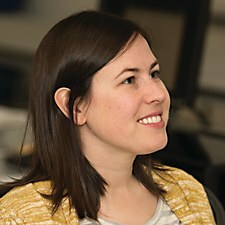 She grew up in Lubbock, Texas, and received a degree in graphic design from Texas Tech University. Previously, Kimbro worked as the art director of Southwest Airlines’ magazine Spirit (now Southwest: The Magazine) and as a designer at Fossil. Her work has been recognized by the City and Regional Magazine Association, Print magazine and the Society of Publication Designers. She lives with her husband and two fluffy Australian shepherds in Austin, where she likes to spend her free time searching for undiscovered swimming holes in the Texas Hill Country. 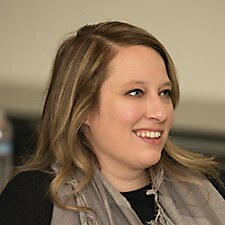 Sarah Labieniec is creative director and partner at the San Francisco–based design and illustration studio Lab Partners. Originally from Connecticut, where she grew up dreaming about being a zoologist/Disney animator, Labieniec earned her degree in illustration at Ringling College of Art and Design. She worked as a designer at Berkeley agency Tomorrow Partners and letterpress stationer Hello!Lucky before cofounding Lab Partners with her husband, Ryan Meis. Inspired by childhood memories, nature and their animal companions, Labieniec and Meis have had the pleasure of working on projects for a range of clients, including Seattle Children’s hospital, Target, Tiffany & Co., Warby Parker and Williams-Sonoma. Hylton Mann is an illustrator and group creative director at Juniper Park\TBWA in Toronto, Canada. Mann was born and schooled in Zimbabwe. After graduating from Rhodes University and AAA School of Advertising in South Africa, he started his career as an art director at Saatchi & Saatchi in Johannesburg. 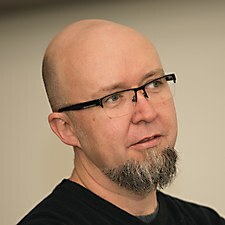 He moved to Vancouver, Canada, in 2002 to work at Rethink. He then moved to Downtown Partners in Toronto. In 2007, he joined Juniper Park as its first creative hire. Along the way, he has won numerous international advertising and illustration awards, from Cannes, Communication Arts, D&AD, the Effies, the London Internationals, the New York Festivals, the Obies and the One Show. Victo Ngai is a Los Angeles–based illustrator originally from Hong Kong. “Victo” is a nickname derived from Victoria, a leftover from British colonization. Ngai’s work has appeared in books, newspapers, magazines, advertisements and animations. Among her many clients are Apple, Dreamworks, General Electric, IMAX, Infiniti, Lufthansa, McDonald’s, the New York Times, The New Yorker, Johnnie Walker and the Wall Street Journal. Ngai has received numerous honors, including medals from the Society of Illustrators, the Society for News Design and Spectrum Fantastic Art, as well as recognition from American Illustration, Communication Arts, the New York Times and the Society of Publication Designers.